Klayman Pursues Justice for Victims of Dallas Police Massacre! 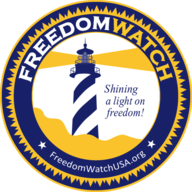 Go to www.FreedomWatchUSA.org to Join Our Cause. Also Donate and Share! Larry Klayman, founder of Freedom Watch, joins Grant Stinchfield live at the top of the hour to share his expert analysis of the lawsuit that is being filed against Black Lives Matter for inciting war on police.